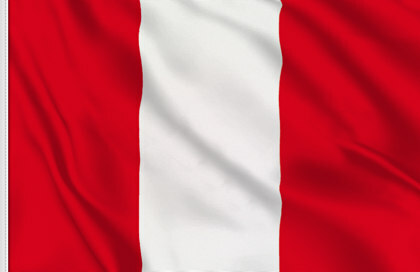 The flag of Peru was adopted in the 1825. The colors are said to symbolize the Incas and their impact on the country. Also red and white are the colors chosen by San Martin, The Liberator. The coat of arms features a llama and chichona tree, important symbols of Peru, and a centered cornucopia representing prosperity.